A pleasant experience to remember for a lifetime. Hotel India Gate welcomes you to a warm, hospitable and a comfortable stay while providing necessary amenities for a peaceful trip. 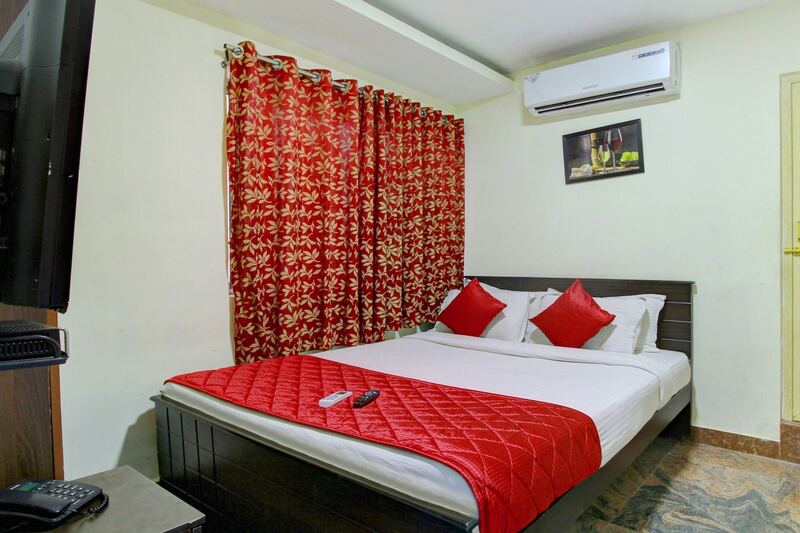 With subtle exteriors giving a simplistic vibe, the rooms are spacious, bright and modern with colorful walls and various comfortable furnishings for a pleasant stay. The wall has some portraits of Indian freedom fighters, staying true to the significance of the hotel name. Free Wi-Fi is also available for guests connectivity. Other facilities in the room include hairdryer, geyser, and laundry. The in-house restaurant offers a wide variety of dishes to choose from for guests convenience. The dining area and banquet hall is available for guests activities and occasions.